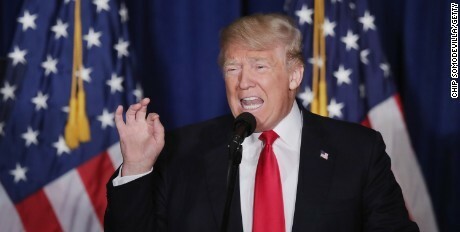 On Wednesday, Donald Trump — having declared himself the “presumptive Republican Party nominee” for President — tried to establish his credentials in US foreign policy with a speech in Washington. On one level, the speech is a nightmare to analyze. Trump’s rambling “America First” declarations have no coherence on military strategy, economic relations, diplomatic measures, or approaches to both supposed friends and foes. As one analyst noted during the speech, the foreign-policy “concept” was like a series of ill-matched patches being stitched together. But on another level, the analysis is easy. In the unlikely event that Trump defeats Hillary Clinton in November, he will be a loud but fumbling disaster for America’s interactions with the world. That speech resembled foreign policy about as much as my 3-year-old boy’s drawing resembled Picasso.